Positive Changes Hypnosis: Deep-6 the Potato Chips! 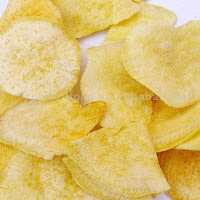 Eating 8 ounces of conventional potato chips is like adding 12 Tablespoons of vegetable oil and a teaspoon of salt to an 8 oz. potato. However, consider this: you would have to eat 2 quarts of plain, unbuttered popcorn to get the calories in 1 oz of chips (about 15 chips). By substituting, you save 10 grams of fat. Of course, if you "need" your chips, try the Baked Lay's Potato Chips that can be found at better grocery stores everywhere.